As a high-end conference and event week specially launched concurrently with CPhI China, China Pharma Week will take place for the third time this year on June 17-21 in Shanghai, which will cover themes of Leadership, Business, Networking, Recognition, Knowledge, and Innovation of the pharmaceutical industry. The conferences thereof will cover extensively, including analysis of Chinese and foreign pharmaceutical regulations and new policies, analysis of markets of key export countries, and sharing of experience in overseas market development, etc. ; and the events will be diversified, from the heavyweight industry selection, enterprise executives networking dinner, to Innovation Gallery, and discovery tour, etc. People in each link of the pharmaceutical industrial chain will be able to gain high-end social connections amid the quality environment for business cooperation and negotiation, through the all-round, high-level, in-depth, and multi-angle digging at the over 20 conferences and events in 5 days. 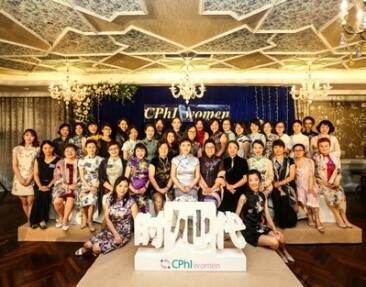 As a platform for learning and exchanges specially created for women elites in the pharmaceutical industry, CPhI Women in Leadership Forum is where you can share work experience, knowledge, and life experience with excellent women representatives of the industry. China-World CEO Summit, the most important forum event under the “Leadership” theme, will gather executives of leading enterprises in the industry, to share practical experience and wise advice to deal with impacts of policy and market environment, and bring new inspirations and new ideas to the industry enterprises. Exhibitors in Chinese and overseas pharmaceutical industries, representatives of Chinese and overseas visitors, representatives from government organizations, and experts of industry institutions will be invited to CPhI Networking Dinner, to share their insights into the industry with peers from all over the world, where they will be able to broaden socializing resources, obtain high-end connections in the industry, and feel the high-end social experiences. Buyers of quality health product enterprises from China and abroad will be invited to participate. 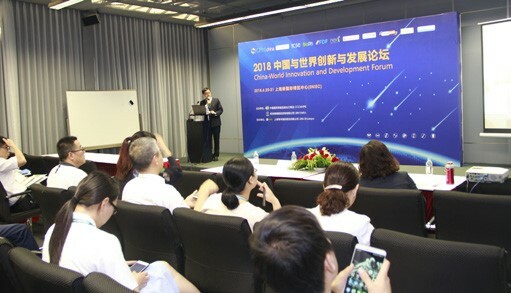 The event will set up for enterprises an efficient platform for supplier-demander exchanges and new product launch, to have enterprises expand business connections, promote trade development, and enhance exhibition experiences in a relaxing and pleasant atmosphere. To encourage internationalization and innovation, and raise the international recognition and influence of the Chinese pharmaceutical enterprises that lead the internationalization, China Chamber of Commerce for Import & Export of Medicines & Health Products (CCCMHPIE) will hold the 4th edition of Award for Top 100 Internationalized Companies, and will recognize Excellent Suppliers and Partners in International Market (Top 60), Leading Formulation Suppliers (Top 20), and Promising Enterprises (Top 20) based on product export, international registration, overseas M&A, and international cooperation, etc. The final lists will be selected according to rankings of comprehensive scores calculated from WeChat votes by the public, votes by CPhI overseas visitors, and selection by expert judges. The 2019 Innovation Award of Natural Extracts thereof will be newly launched in 2019, to promote innovation and propel industry development. 20 innovative products will be selected, including technological innovation, process innovation, compound innovation, and application innovation, etc. Academia experts and representatives of industry and upstream and downstream well-known enterprises will be invited to serve as jury members. 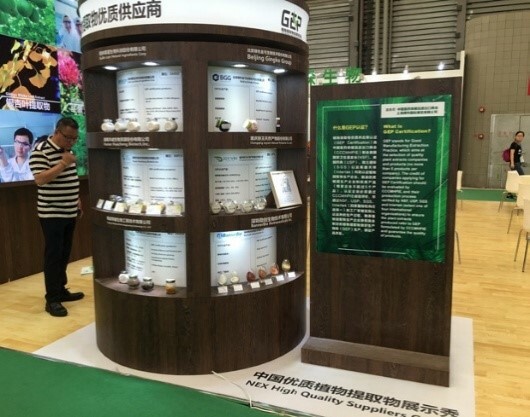 And the combination of expert review and online voting will be used to select innovative products of the year in the Chinese plant extract industry, to build up the brand competitiveness of the Chinese plant extract enterprises. Experts from the NMPA, FDA, EDQM, WHO, and drug regulators and pharmacopoeia commissions of various countries will be present to share the recent dynamics of drug regulatory policies and regulations and help enterprises improve levels in terms of product registration application and quality system construction. The event will not only serve as a high-end, open, and sharing platform for Chinese and overseas pharmaceutical industries to exchange on drug regulatory laws and regulations, but also an important window for Chinese pharmaceutical industry to be synonymous with international standards. 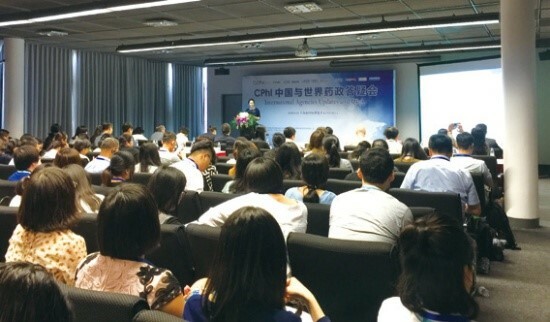 The seminar will invite Chinese and overseas drug regulators and pharmacopoeia experts, to share about the formulation and revision of pharmaceutical excipient standards and recent dynamics, focusing on the improvement of excipient product quality, and connection between APIs, excipients, and pharmaceutical packaging materials and preparation R&D to promote the related review and approval, and seek common development in the excipient industry by strengthening international coordination and exchanges. 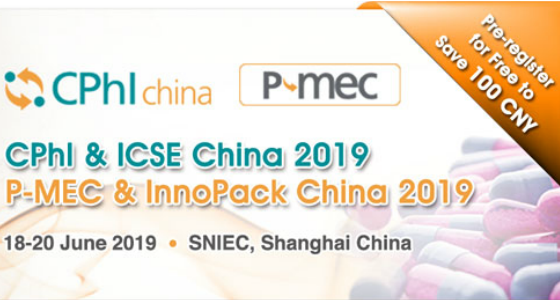 2019 CPhI China Supply Chain Security Conference will be hosted in association with Rx-360, an international pharmaceutical supply chain consortium, and invite top-notch speakers and representatives from world-famous pharmaceutical enterprises, to jointly discuss the hot topic of the supply chain security of pharmaceutical industry, provide in-depth insights, and share precious experience. As a new convention and exhibition platform for the introduction and exchanges on new scientific thoughts (Science) and new technological developments (Technology) of the biopharmaceuticals, Bio S&T will conduct deep collaboration with international biotech professional organizations, biopharma enterprises, and high-level talents in biopharma science, technology, and finance, to create a future for information sharing and mutual benefit and collaboration of the biopharmaceutical industry. The speeches and exchanges will center on policy and market in this forum session, which will cover the pharmaceutical industry development situation and policy trends, NMPA’s latest reforms and influences thereof, analysis of the import & export and internationalization situation of Chinese pharmaceutical products, pharmaceutical product patent protection, and market access and regulation, etc., to provide a high-level exchange platform for Chinese and overseas pharmaceutical entrepreneurs, industry experts, and relevant government departments, and offer keen insight into and thorough analysis of the new environments and new situations in the development of Chinese and overseas pharmaceutical industries from the perspective of globalization strategy. The role the Chinese pharmaceuticals on the global industrial chain has gradually extended from the API to the preparation field, and more and more Chinese pharmaceutical enterprises have joined in the preparation internationalization process. CPhI Formulation Companies Salon will invite the industry leading enterprises to share information and experience, to provide good reference for the attending enterprises to develop foreign trade and market expanding strategies. The conference will invite authoritative experts from the Chinese and overseas governments, to focus on extract-related customs code classification, international market trends, and global regulation changes, feel the pulse for the industry development, and guide for the enterprise development; the topics of the conference will include principles for customs classification of plant extracts, analysis of hot sale varieties overseas, influences of the U.S. FSVP on the export of the Chinese plant extracts, sharing about innovative plant extract products, and overview of the export of plant extracts in 2019 H1, etc. The forum will be divided into four parts: Technology Forum, Production Practice Forum, Digital Bio-engineering Forum, Data Management and Verification Forum, where forerunners will start from sharing their own practical experience, to bring the latest contents on pharmaceutical automation and information for onsite visitors. 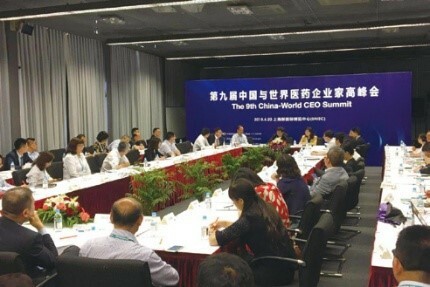 The China Pharma Environmental Forum will provide pharmaceutical environmental protection professionals with an exchange and interaction platform focusing on policy interpretation and environmental protection technology application, to promote the healthy development of pharmaceutical enterprises. The forum will attract heads of environmental safety, EHS, and equipment procurement departments of pharmaceutical enterprises, as well as engineer experts, and product managers of companies engaging in environmental technical equipment. The event will focus on packaging material, environmental protection and clean technology, and natural plant extract zones, set up quality exhibitor visit routes and innovative product gallery, gather the latest packaging solutions in the world, present simulated cleanrooms, clean equipment, and fine projects, and showcase the quality plant extract suppliers and quality products jointly certified by CCCMHPIE, National Science Foundation (NSF), United States Pharmacopeial Convention (USP), SGS, and Intertek. It will furnish quality suppliers with a platform for comprehensive display, to rapidly boost their enterprise images. 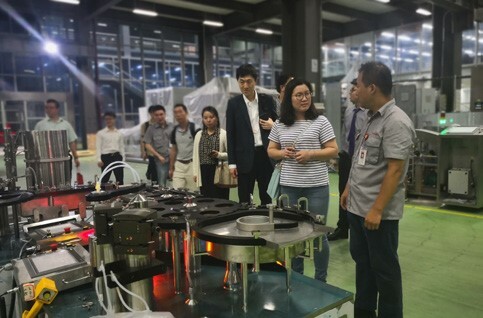 The Plant Visit event will be conducted after the exhibition, during which, Chinese and overseas professional visitors will walk into plants as led by the host, along the visiting routes that cover cutting-edge systems and projects, R&D, and manufacturing, etc., to enjoy the tour that combines interestingness and practicability, to witness the manufacturing technology and gain in-depth understandings of enterprises’ manufacturing culture. The specialized procurement matchmaking team will recommend quality suppliers based on member qualifications, buying leads and productivity, etc. utilizing the powerful databases combining the exhibition and the B2B website. The event will effectively draw buyers closer to sellers through one-on-one and face-to-face meetings, which will not only save the procurement time, but also easily increase the procurement efficiency!